I was looking forward to seeing Anthony again. The last time we saw him, he was all geared up to play Hockey. Seriously, the cutest little hockey player every with his adorable dimples! This time we got to photograph his little brother, also. Michael was such an independent little 2 year old. He was happy to pose with his big brother for a couple of photos. Then he wanted to pose himself...on a bench, and then in a chair, and then on a stool. Sometimes with all three in the shot. All of which he pulled onto the background by himself. When asked if he needed help he would respond "no". Anthony was an awesome little model. He posed like a pro and could turn on a natural smile with ease. His blue eyes shined in every shot. We even got mom and dad in a couple of frames. 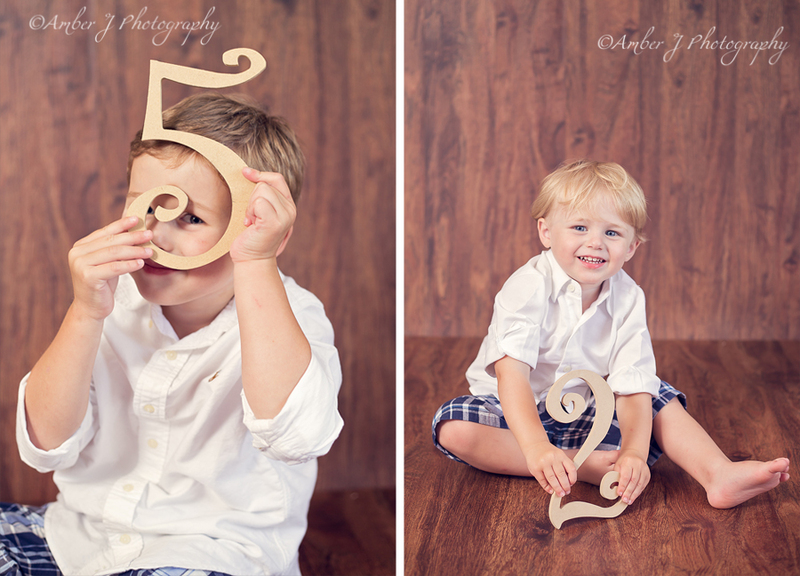 Win A Free Newborn Session with Amber J Photography!